← Happy Birthday Tony Kornheiser! Look at the ump. Haha. I really, really love this play. “You’re Out! – Crap, You’re SAFE! So are YOU! 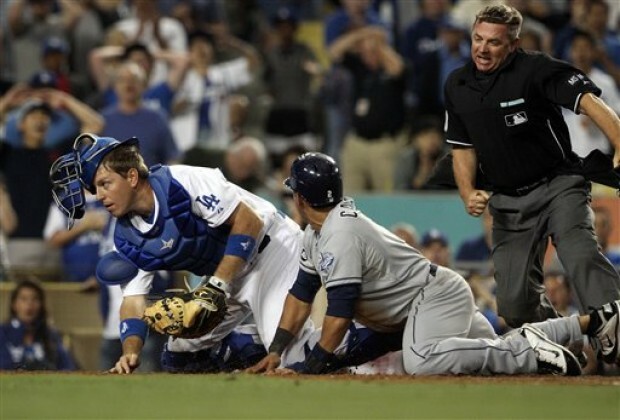 – You Win!” Even Dodgers fans, although sad when it happened, have to appreciate how awesome this is. 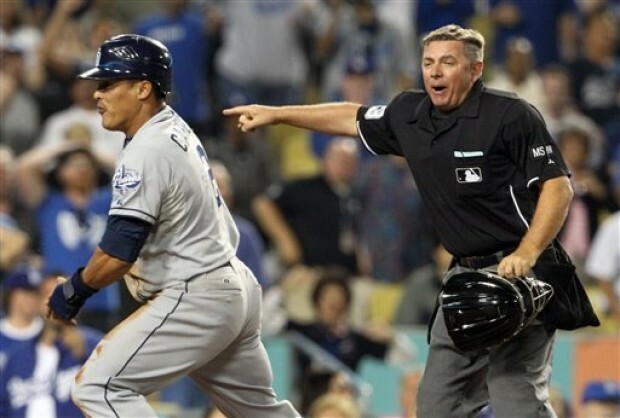 2 strikes, 2 outs, trailing by 2 1 in the 9th inning… and Cabrera steals home, gets called out, the ump has an “oh crap, there goes the ball, he should probably be called safe” moment… then Will Venable comes racing in behind Cabrera… also safe. Padres now lead by one run. Amazing. Zero chance that has ever happened before in the history of baseball. Not like that. Here it is. Power. Move. Power move. Hairston is a chump. I like Scott Hairston…dislike Jerry Hairston, Jr. So I’m glad it happened to him. He deserved it. If Cabby says that to a Little Leaguer – that 3B yells over to the pitcher… “this joker thinks he can steal home!” – but not Jerry, not here in a the bigs. Just keeps it to himself and hands the Dodgers the loss. 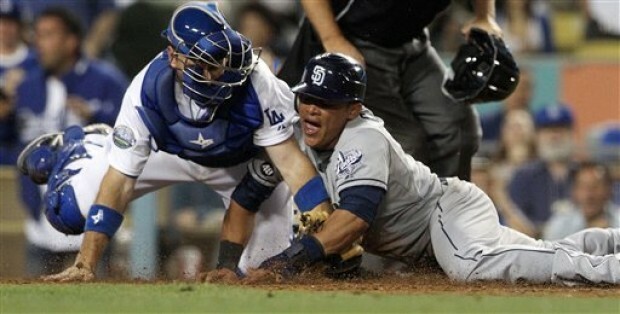 Don’t think that got inside Jerry Hairston’s head? Yeah, me neither… it’s not like he had two of the Dodgers five errors the next day, serving up a Padres series win in LA… oh wait. This entry was posted in Baseball, MLB and tagged Dodgers, Everth Cabrera steals home, Everth Cabrera Took a Giant Dump on Jerry Hairston, Everth Cabrera., Jerry Hairston, Jr, Padres, will venable. Bookmark the permalink.